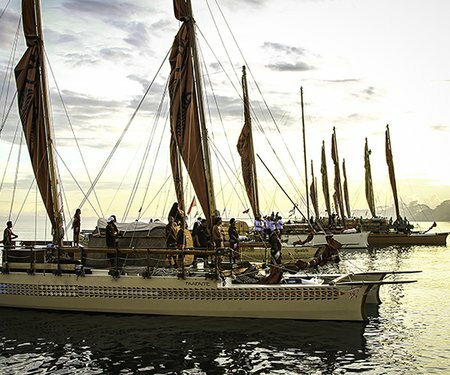 Kupe, the great Pacific explorer and navigator, is the hero of this lively, lyrical solo show by treasured local poet and storyteller Apirana Taylor, performed by Tola Newbery. Legend has it that Kupe discovered Aotearoa after pursuing Te Wheke-a-Muturangi, a giant octopus that was endangering his people’s fishing grounds in the Pacific. Be enchanted by the exhilarating tale of Kupe’s many exploits. 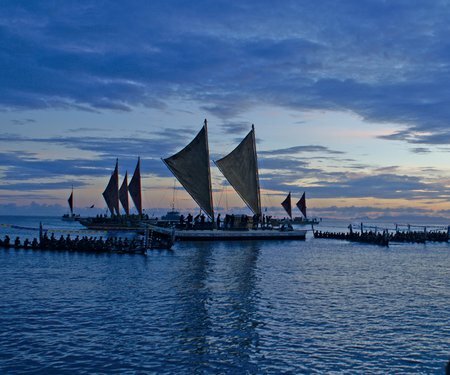 A masterful piece of storytelling, Ka Tito Au is a Kupe Dreaming event and part of A Waka Odyssey, the Festival’s celebration of our shared voyaging past and Pacific future. Download the A Waka Odyssey flyer to plan your journey. See it for free at Te Papa or as part of its tour of the Wellington region.